Cheshire - Macclesfield - Halfpenny - Roe & Co., 1789. 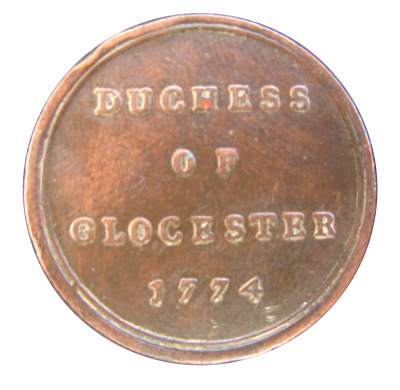 Charles Roe's Macclesfield (Cheshire) copper Conder halfpenny token dated 1789. 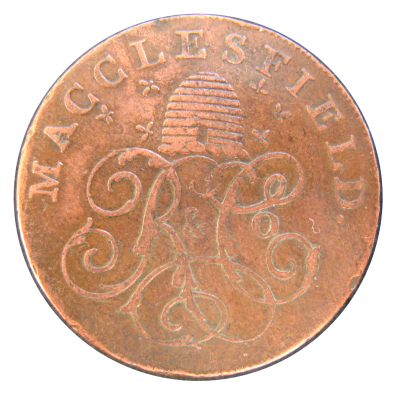 Obverse: Ornamental cypher of “R & Co” (Roe & Company), surmounted by a beehive and bees: “MACCLESFIELD.”. 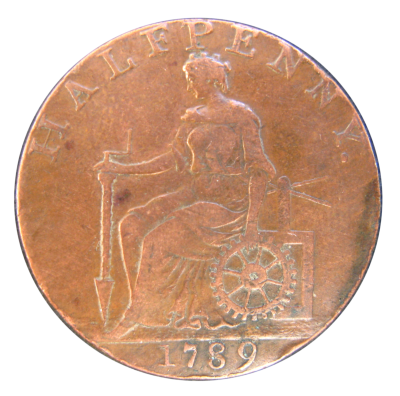 Reverse: Seated female “Genius” holding in her right hand a drill, and a cogwheel of eight spokes in her left: “HALFPENNY. 1789”. This was issued by Charles Roe who became a partner in several copper mines, and the famous Anglesey Mines in Wales were first worked under his direction. Roe & Co., owned extensive works for smelting and making copper on land to the east of Macclesfield. D&H Cheshire No: 12. Diameter 29.2mm. 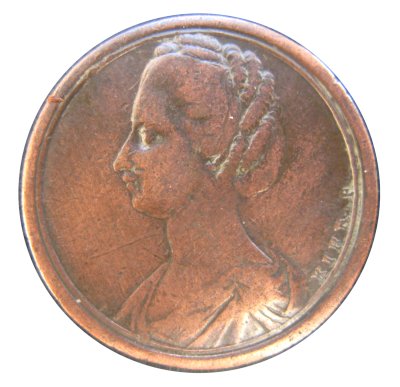 Daniel Barrett's London (Middlesex) farthing token undated. 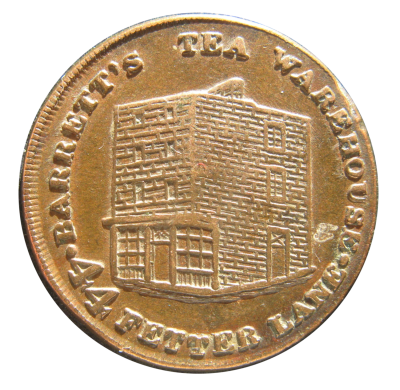 Obverse: Corner view of house and shop: "BARRETT'S TEA WAREHOUSE * 44 FETTER LANE *". 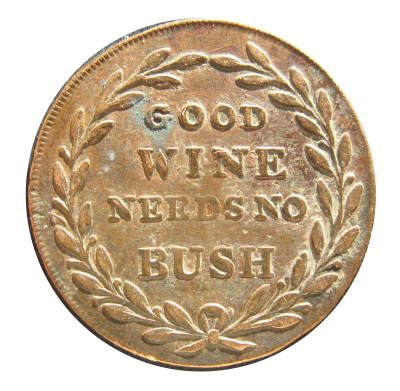 Reverse: Legend on four lines within a laurel wreath: "GOOD WINE NEEDS NO BUSH". Plain edge. The reverse legend means "A good product needs no advertisement". Bell No. 2340. Diameter 20mm. DUCHESS OF GLOCESTER 1774, by Kirk for The Sentimental Magazine. One of a set of 13 in bronze. Countess Waldegrave, Duchess of Edinburgh Died: 2nd August 1807 at Oxford Lodge, Brompton, Middlesex . Maria was one of the three illegitimate daughters of Hon. Edward Walpole. She secretly married the king's brother the Duke of Gloucester and after they announced their marriage they were exiled from court. Though she was now a "Princess of Great Britain & Ireland" she never was received at court.